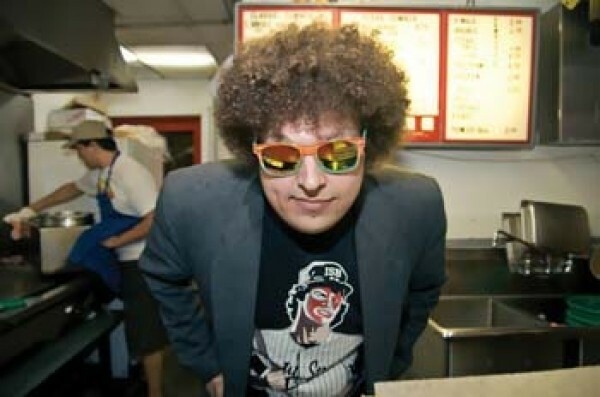 A chubby white kid with an Afro walks into a bar and kicks off a rap battle by pointing out that he looks like Cory Matthews from Boy Meets World. That’s not the beginning of a joke; it’s actually what Sugar House emcee Scott Knopf, aka Atheist, does on the regular. Over the past few years, Atheist has made a name for himself in the freestyle battle circuit by having the gumption to explore simple, yet typically ignored rap subjects, i.e., self-deprecation and self-awareness. This isn’t anything new—rap fans have witnessed this lack of braggadocio before in the likes of J-Zone and Cool Calm Pete. But Atheist has a knack for coming across as the most talented rapper in the room without having to actually say it. This is most evident on his third and latest album, Topanga, which was released Aug. 8. Recorded and engineered by Provo rapper Chance Lewis and featuring prominent guest spots from names like DJ SkratchMo and Crown City Rockers frontman Raashan Ahmad, Topanga is a full-court press of golden-age, five element hip-hop, minus the Joey Bada$$ snobbery. It’s a rare occurrence when a skilled freestyle rapper can produce a quality studio album—dusty stacks of Canibus, J.U.I.C.E and Supernatural LPs don’t lie. There’s a handful of variables that play into this, but it mostly comes down to the fact that battle rappers take themselves too damned seriously.